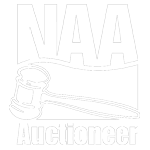 OFFERING BOTH LIVE ONSITE AND LIVE WEBCAST BIDDING! DAY 2: WEDNESDAY, MAY 1 – 9:00 AM. - Selling shop equipment, shop tools, other like support items. Continue to watch the website for updated listing and pictures. TERMS: Everything sells like is, as is, where is. Cash, Wire Transfer, Credit Card with additional fee, or Letter of Credit from bank to guarantee check. Buyers Premium Applies: For onsite purchases 10% for Webcast purchases 13%.